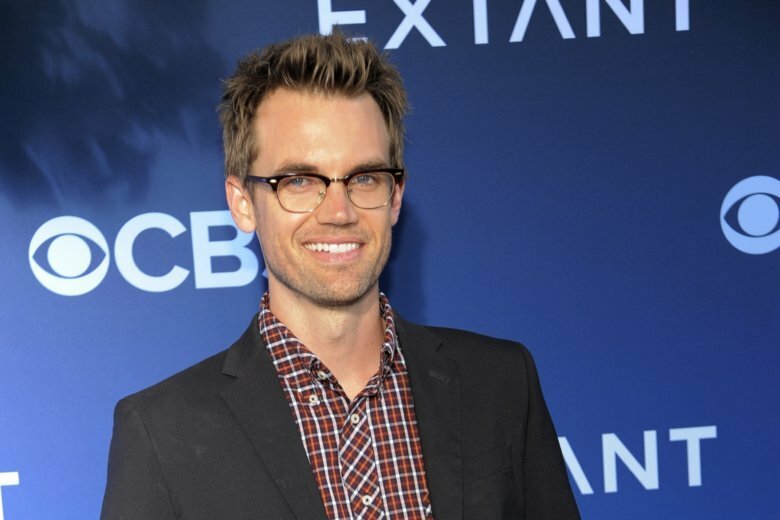 NEW YORK (AP) — Tyler Hilton is an actor who is also a musician and he knows what you’re probably thinking: Do we really need another actor who is also a musician? Hilton has managed to straddle the gap between professions since he burst onto the scene in 2005 at 19 playing Elvis in “Walk the Line” opposite Joaquin Phoenix and Reese Witherspoon. He later combined music and acting by joining the “One Tree Hill” cast for several seasons, starting in season two. Both sides of Hilton’s talents are available this winter. The music part is his new album “City on Fire” out in January and the acting part will be when he reconnects with some “One Tree Hill” stars for the Lifetime TV movie “The Christmas Contract ,” which comes out Thursday, his 35th birthday. The TV movie won’t be a terrible stretch — he’ll play a character named Tyler Hilton who shows up to play a few songs, including “Don’t Feel Like Christmas ” and a dark, moody bluesy one from his new CD called “Get Down.” The film is an original story that features series regulars Hilarie Burton, Robert Buckley, Danneel Ackles and Antwon Tanner. He’s also excited for fans to hear his new music, a more authentic sonic representation of what interests him, namely everything from bluegrass to flamenco. He spent a frustrating 10 years with Warner Bros. Records before charting his own course. “I think they saw a tall guy with blue eyes and they kept trying to hammer me into like a pop direction. And I wanted to make everyone stoked,” he said. It’s an impressive album with varied song styles, including the searing rock of the title song, the romantic “When I See You, I See Home,” and the country-ish “Overtime.” He wrote it while filming two failed TV pilots. “All of a sudden this music is just coming out because I’m not thinking about it,” he said. A cool video for the CD’s title track was made by someone very close to Hilton — his wife, the actress and director Megan Park. She calls him an “old soul” who has lately found freedom and is doing his best work. Hilton may have played a jerk on “One Tree Hill,” but he’s charming and self-depreciating in person. He grew up in a musical family adoring Robert Johnson and Muddy Waters but didn’t look the part. “There’s nothing bluesy about a 6-foot-4, lanky tall white guy from Palm Springs, California, the golf capital of the world,” he jokes. Funny stories seem to pour out of him, like the time he lived on Tylor Swift’s houseboat in Nashville. “Whoever’s in control is writing the strangest story for me imaginable,” he said, laughing. He ended up under one of TayTay’s roofs after she reached out as a 15-year-old to say she was a fan and invited him to be in one of her videos. “She was automatically different right from the get go. I was like, ‘This girl is a genius,'” he said. Years later, her family offered him a home when he moved to Nashville. His big TV break came when it was suggested he go on “One Tree Hill” during its second season to sing a song and say a few lines. He quickly bonded with the young cast and stuck around until the show concluded in 2012. He and Park met on the set of the Robert Downey Jr. film “Charlie Bartlett” and they convinced “Gone Girl” actress and family friend Missi Pyle to officiate their 2015 wedding.